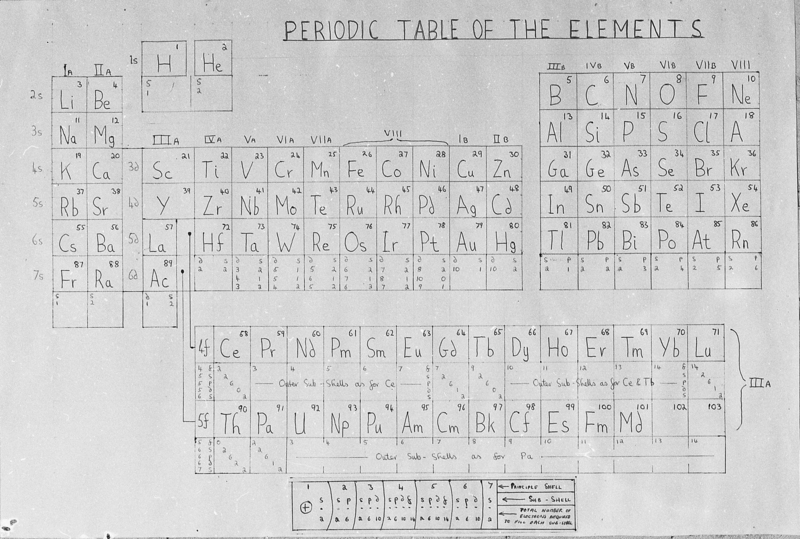 2019 is proclaimed the “International Year of the Periodic Table” [of Chemical Elements”](IYPT2019). 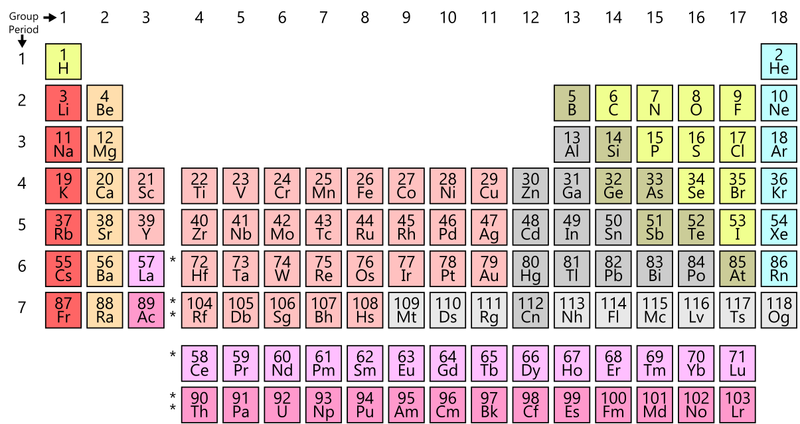 It is 150 years since Dmitry Mendeleev discovered the periodic system. The website of the International Union of Pure and Applied Chemistry is well worth a visit – maybe find an activity near you during the year. 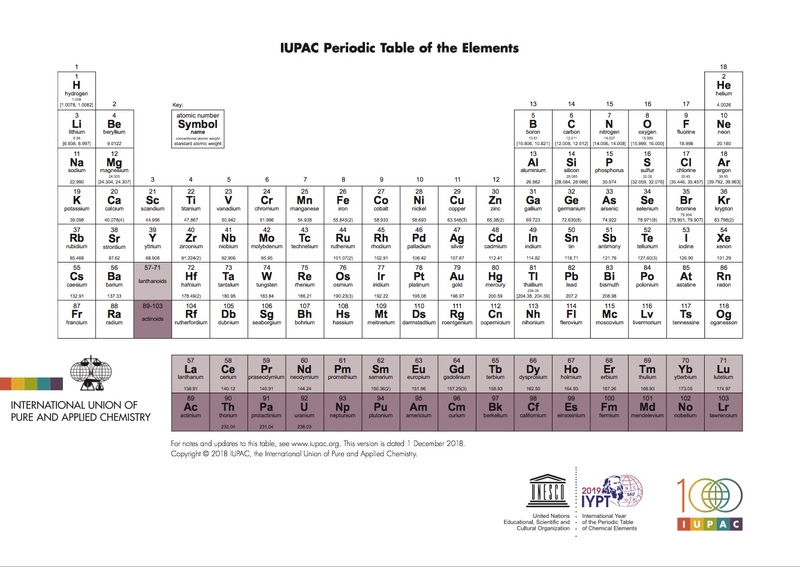 Below, the very latest 2018 version from the website of the international union of pure and applied chemistry (site gives permission for use).